2012 wasn't totally bad for the Resident Evil franchise. Sure, the series' main entry fell on its face, but a strong contender released earlier in the year might have the clout to make up for it if more people get a chance to play it. And that's just what Capcom is granting. Resident Evil: Revelations is a solid side-entry in the series that released for the Nintendo 3DS in February last year, meaning the Nintendo 3DS user-base was not as big as it is nowadays. Given the full HD treatment and being distributed to a much wider audience across consoles could be the remedy we all need. No, it doesn't sacrifice the controversial over-the-shoulder action, and it doesn't reinvent the series like Resident Evil 4 did. What Revelations nails so well that many other games in the series have not recently is that it has one solid theme, and it sticks to it throughout the entire game. No mishmash of genres, no questionable jumps in logic. It's a solid experience from beginning to end, and the popular multiplayer only exists to back-up the entire package. Check out these 30 minutes of gameplay footage. It might look unexceptional on the surface, but there is a lot brewing beneath with this Resident Evil. It's got that extra factor so many have been missing since Resident Evil 4. Given the chance, this could be remembered as one of the great ones if this HD port gets pulled off nicely. 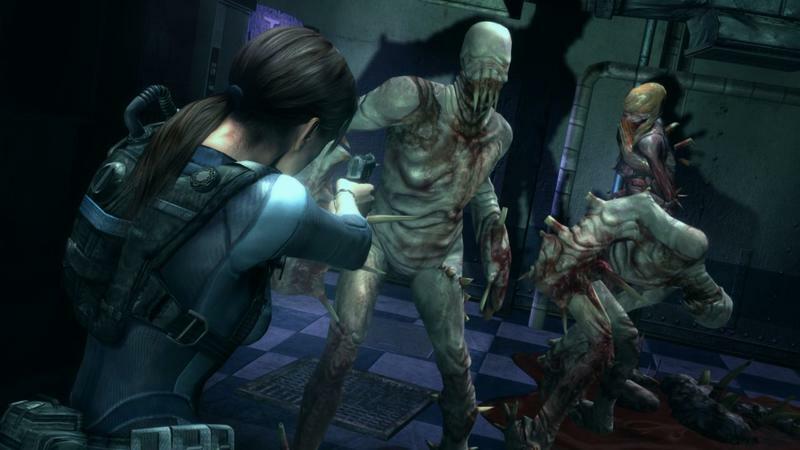 Resident Evil: Revelations HD will be released on May 21st for the Wii U, PlayStation 3, Xbox 360, and PC.